Have you ever woken up early in the morning, turned on the light and been blinded by it’s brightness? Or, maybe you want to go out at night and leave a light on for safety but hate the idea of using a lot of electricity when you don’t have too. There are many times when you may need just a LITTLE bit of light in a room but your lamp doesn’t have a ‘low’ setting. 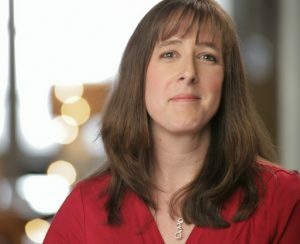 What can you do about that? 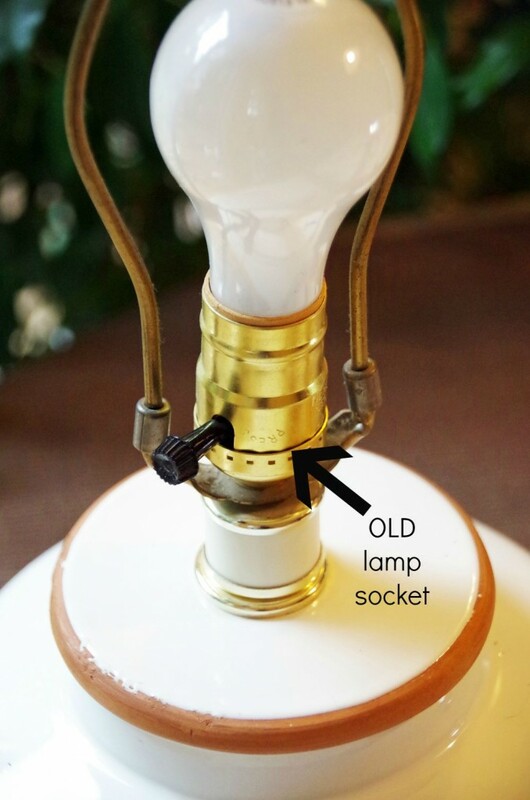 Just learn how to turn a regular lamp into a 3 way lamp and stop wasting energy when you don’t have to! 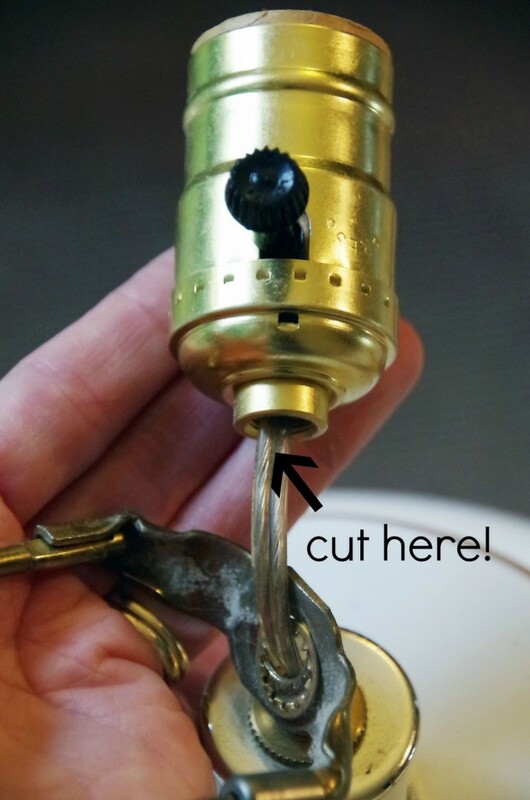 The first thing you are going to need before you turn a regular lamp into a 3 way lamp is a tiny little 3 way lamp socket. You can find them at most major hardware type stores. You will need a lamp (obviously) and if you don’t have one you want to experiment on then you can check out the thrift store. 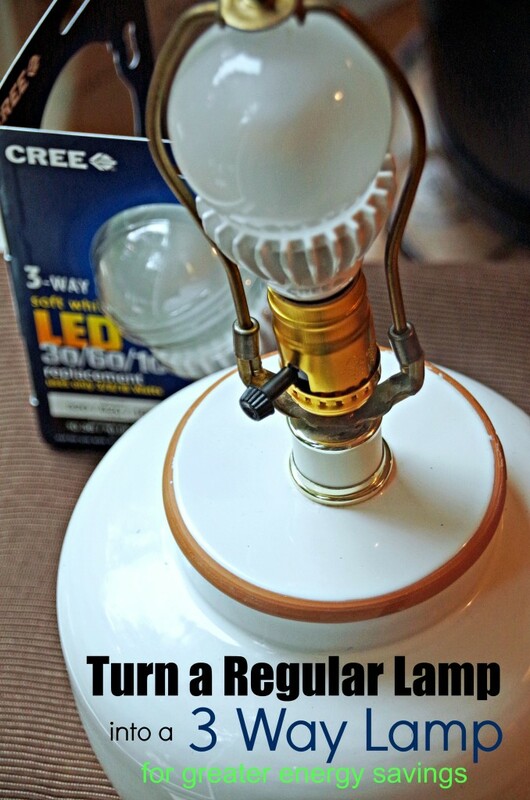 You will also need a 3 way light bulb to put in the lamp when you are finished. Make sure you purchase eco friendly and energy efficient LED light bulbs like the ones from CREE. The are nice and bright and use significantly less energy than traditional bulbs! Step one: Make sure the lamp is unplugged! Seriously. Very important step and one that can save your life so check! Step Two: Unscrew the standard lamp head that is on the lamp and pull it up to expose the wires. Step Four: Disassemble the new 3 way lamp socket, following the directions on the back of the package. Read the back of the package! Really! There are awesome directions on there to help you get everything back together again! Step Five: Remove the OLD lamp base from the lamp and add the new one. Screw on the new base so it is snug on your lamp. 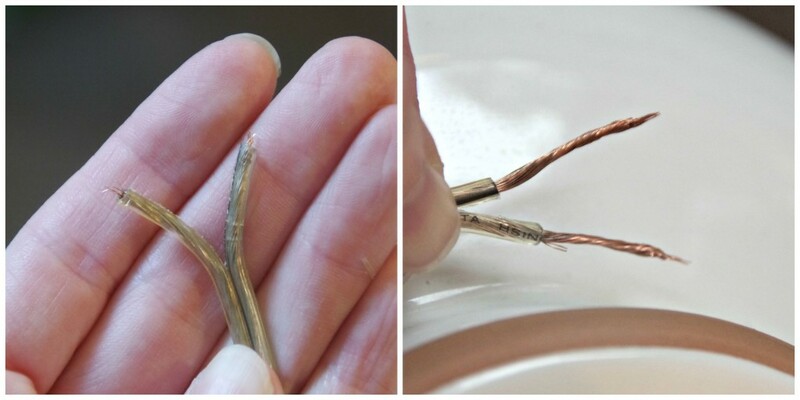 Step Six: If you CUT the wires, you will need to strip the protective coating away from the end of the wires before wrapping them. You want to curl the end of each wire around one of the screws (one wire to one screw) and then tighten the screws. Loop the wires clockwise for the tightest fit (they will tighten more when you tighten the screw) You will need to be careful which wire you connect to which screw. The package will show you exactly. 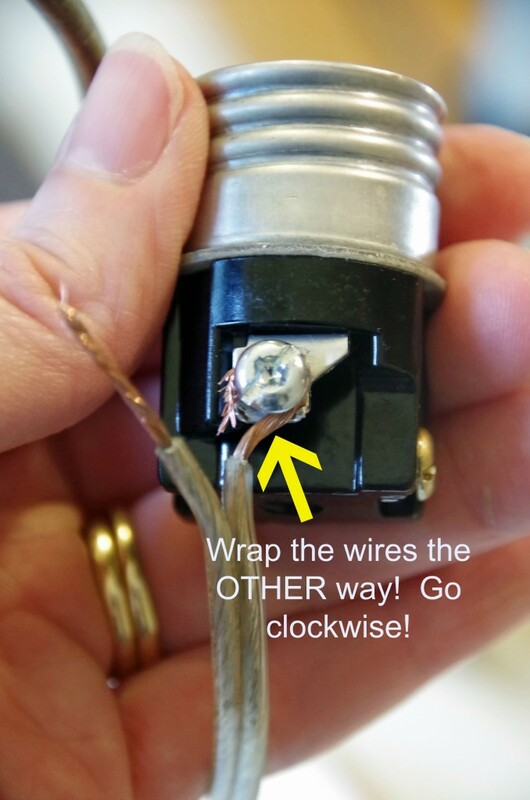 For my lamp, there was one wire with a silver strip running up the insulation and the other did not have this. Make sure you look carefully! PLEASE NOTE: The photo below shows them the wrong way! I fixed it and forgot to rephotograph! Step Seven: Trim the excess wire off as close to the screw as you can. Step Eight: Gently attach the head of the lamp socket to the new base and screw them together. Once you have turned your regular lamp into a 3 way lamp, you just put in your 3 way energy efficient CREE LED bulb and you are all set! Now you can control exactly how much light you use in a room on any given day. Keep it on low when watching TV or turn it up higher if you are reading a book. Keep the living room light dim when you head out after dark but brighten it up when working on a puzzle with your kids. Less energy usage means lower bills and a smaller carbon footprint! I must admit, I am not the handiest person when it comes to electrical work. I was frankly shocked that the lamp actually turned on when I was done with this little project! But, just click on the video above to see that YES, I really did turn a regular lamp into a 3 way lamp and have it actually give off light when I was finished with it! Have you tackled any energy savings projects in your home? This type of bulb will definitely save money by burning fewer watts when left on for security reasons. I also feel that because they do not get as hot as incandescent lamps, there is a reduced risk of fire if they get knocked over by a pet. I never thought of that but it is definitely a plus!